You should always know your natural environment and state laws before you investing in a hunt. The deer population vary in different regions of the country. In Kentucky, deer are in abundance, and for this reason, doe have become the primary food source for deer hunters. Our ample natural resources and limited population of predators are why Kentucky bucks have the potential to grow large and have also become over populated. The founding principal of hunting is to produce food regardless of what is atop of the deer’s head but many hunters have accepted the challenge to harvesting these larger deer when they are in their prime years. This gives smaller deer the chance to grow larger just the same. 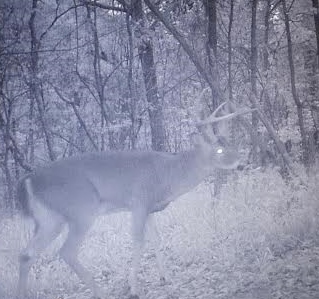 There are several factors that need to be considered when it comes to hunting mature bucks. Often hunters take to the woods and don’t understand why they come out empty handed or hardly see any deer. 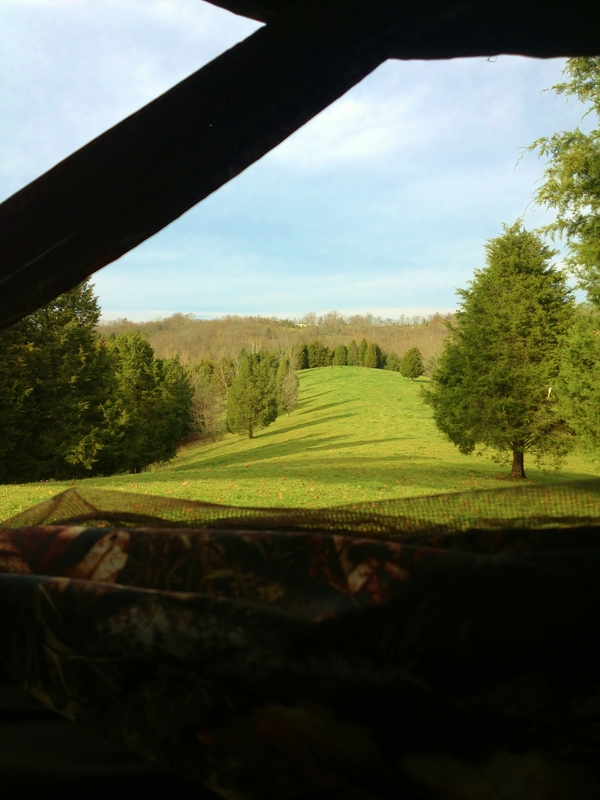 This article is intended to identify some areas where a hunter may improve upon to harvest larger whitetails in a similar environment as Kentucky. One of the biggest factors is scent. A deer can tell if you’re 200 or 20 yards away, and either way he’s going to head the opposite direction of you before you ever see him. In modern times there is no excuse why a deer should smell you. Today’s technology of scent-control is phenomenal and will allow you to mask almost 100% of you scent. At home, I have a specific room for all of my hunting gear. 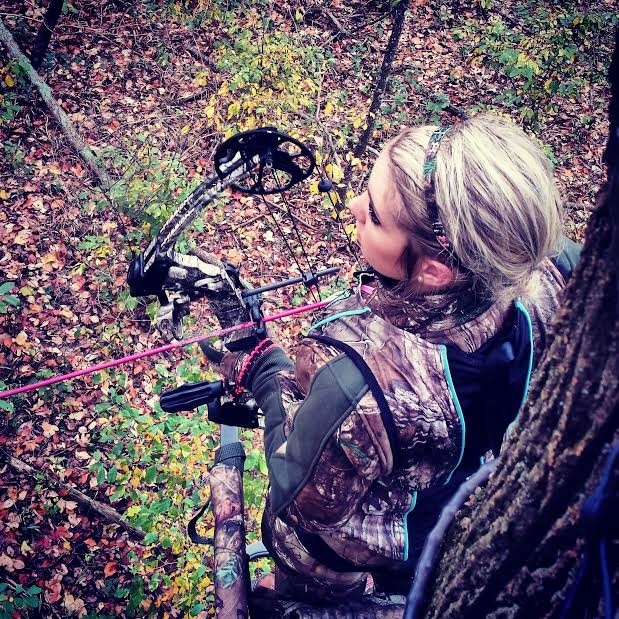 All camo, harness’s, backpacks, and anything that goes to the woods is laundered in Scent Control detergent so that it is always prepared for a hunt. Another product often overlooked is scent free shampoo and body wash. The importance of these two products should go without saying especially for all you lady huntresses. They make these products for a reason. You can’t walk in the woods smelling like a cupcake and expect to harvest anything. Women use many varieties of scented toiletries which contain all types of smells which are foreign to the woods. Some of these products including shampoos, body lotions, deodorants, hairspray, and this biggest one being perfume. Trust me, men are glad you use these items, but the deer, however will smell you from a mile away. The last thing I do before entering the woods is spray myself down once more from head to toe to eliminate any scent contracted along the way out. It is always important to know the land you’re hunting. Again, with today’s technology it is very simple to map out your hunt using an aerial view, like Google Maps. Not only is it important to know your landscape, but it is also important to know the behavior of deer in relation to that landscape. For instance, big deer tend to hang out alone. Most people will setup where they see the most deer. Here is the thing about older deer, the older they get the less they move around. This makes knowing their habits and bedding areas crucial if you want to harvest a mature whitetail. Food is a key factor in bagging the big one. This does not necessarily mean going to extremes to plant an expensive food plot and spending days tending it. It can be as simple as a planted patch of clover or corn. Timed feeders are also beneficial in patterning a deer but not completely necessary. If you’re hunting on a budget like myself, a corn pile and a trail camera will serve just fine. (Although you should check the legality of this in some states) You want an added food source that is consistently available to your deer so they will come there daily. Be sure to scout for bedding areas to ensure that you are not too close when deciding on where to place your food source. The day will come that you discover that you have an aggressive or dominant buck with poor genetics roaming your property or place of hunting that is disruptive to the heard. This kind of buck is considered a Management Buck. These deer do not have the potential to grow a big rack and can ultimately run off the deer with potential to grow. These bucks have to be taken for proper management purposes. During the pre-season we get loads of photos of all different sizes of deer. Although meat is meat, I prefer the phrase “Let them go, let them grow” when it comes to young bucks. What many people don’t realize is how much potential these deer have for the next hunting seasons to come. I like to picture the size deer that I wish to harvest and then decide to harvest nothing smaller than that size. It is important to know what you want kind of deer you want before you shoot it. In Kentucky, the best time to hunt mature whitetails is in the first 2 weeks of October and into the late season. Many are fooled by thinking that the rut is the prime of the season. Yes, it is action packed and you get to see a lot of deer up and on their feet. The action of the rut is probably the most you’ve seen since the beginning of the season and many hunters get trigger happy. During the rut mature buck stay out of the open and don’t travel far from bedding areas. I have always gone by the physical characteristics of a deer rather than the size of his rack. I was taught to look for a thick neck and cinder-block face. This is where having trail camera pictures help. Sometimes we have deer show up on camera and we truly can’t be sure if they are new. It is very easy to pinpoint a deer’s age when it has been seen on camera year after year. Not to mention it is amazing to watch deer grow over the years and fun to give each a name of their own. As I said before, I am no expert and can only share with you what I have learned during my personal experiences in the outdoors. My only intentions are to share my knowledge and to help keep the sport alive.